Soya Paneer Vegetable Pulao and Enrico's Soyamate Product Review! Today I am sharing a recipe and about a Product Soyamate. When I received a pack for the review, I accepted as this is very healthy. Thanks #enrico. Enrico's Soyamate is produced by a special process, made from Soya Flour by extrusion process and cut into chunks. These are dried, made free from fines and hygeinically packed. SOYAMATE is an ideal family food/100% vegetarian/ rich in protein, vitamins and minerals, easy to prepare. Soyamate is rich in high quality vegetable protein, packed with natural vitamins and minerals.Its PROTEIN content is over 52%, which provides nutrition no staple food can match. 250gms Soyamate nas as much protein as 1 kg. mutton or 3.9 litres milk or 24 eggs. This is available in Malaysia. So when you are out to Malaysia, don't forget to buy. Source: Soyamate Page on FB - Soyamate. Soyamate Soya chunk is very good and tasted great. I was not big fan of soya and now after tasting, planning to include in my diet. When I was going to prepare Soyamate Soya Veggie Pulav, added paneer, as my son loves paneer in all dishes. spices - cloves, cardamom, cinamon, star anise. Chop the vegetables to medium size cubes. Soak soya chunks in hot water for few mins. In a pressure cooker, add 1 tspn oil, spices, 1/2 onion, ginger, garlic, coriander and mint. Do not fry too much just fry until onions are transparant. Off the stove. Allow it to cool and grind to coarse paste. Heat the same pressure cooker, with ghee and rest of the oil, bay leaf, add jeera, add chopped onion, the grounded paste, vegetables and allow it to boil once. Then add aneer and soya chunks. Add the soaked basmati rice and mix well. Add water and milk. Add turmeric powder, garam masala powder, channa masala, red chilli powder, salt, kasoori methi and mix well. Let it boil once, then close the lid and pressure cook for 3 whistles. Delicious Soya Paneer Vegetable Pulao is ready to serve. Serve with Tomato Raitha. 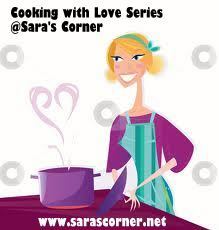 This recipe is going to Cooking with Love Uncle event hosted by me. Notes - You can add your choice of vegetables.